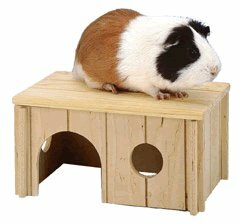 Ferplast Wooden Guinea Pig House. and a 'look out' point. Colours Available:< Also suitable for Rats and any other small animals.